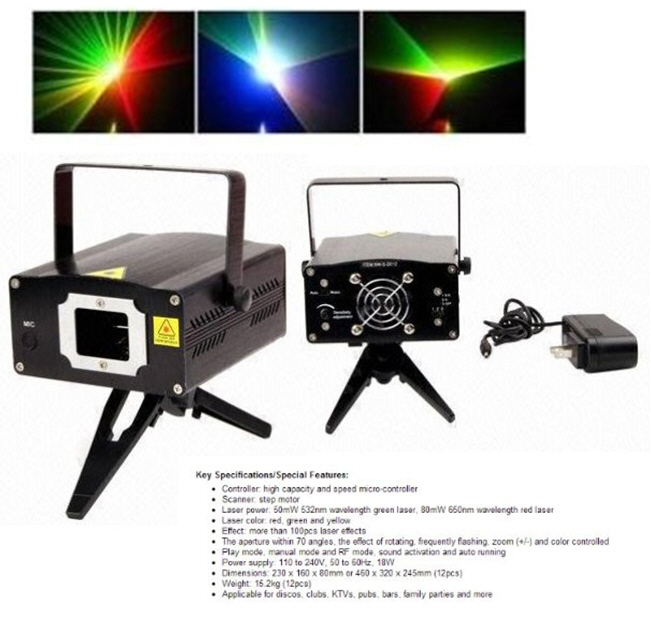 DJ red/green/yellow beam system 80mw of red and 50mw of green (combines to form yellow). Automatic patterns or responds to local sound. 90-240VAC. Uses 20kpps vibratory mirror system with a scanning angle:±20 degrees For indoor use only: Dimension:140*118*65mm Weight:2lbs.